The Americans with Disabilities Act of 1990 (ADA) and the Rehabilitation Act of 1973 (Rehabilitation Act) restrict and regulate the use of solitary confinement for persons with disabilities. Title II of the ADA, 42 U.S.C. 12132, applies to state actors, while the Rehabilitation Act applies to federal correctional facilities and correctional facilities receiving funds from the federal government. Both statutes prohibit the use of solitary confinement in a manner that discriminates on the basis of disability instead of making reasonable modifications to provide persons with disabilities access to services, programs, and activities, including mental health services. See Pa. Dep’t of Corr. v. Yeskey, 524 U.S. 206, 210 (1998). THE UGLY TRUTH: In addition to solitary confinement being systemically used to contain mentally ill inmates, juveniles, and many other prisoners (including those who refuse to work free or nearly free), it is further used to force potentially innocent defendants into plea bargains with trials denied. This typically happens to African Americans. Black people, especially men, are sometimes denied their Sixth Amendment right to fair, speedy, public trials, represented by adequate defense counsel, i.e., Shannon Nyamodi of North Carolina (two years), Terrell Scott of Pennsylvania (five years), and Kalief Browder of New York (three years). Black mental patients regularly experience indefinite detention without trials, which is cruel and unusal punishment. Two unfortunate examples are Mississippi inmates Marktain Kilpatrick Simmons (eight years) and Lee Vernel Knight (seven years). 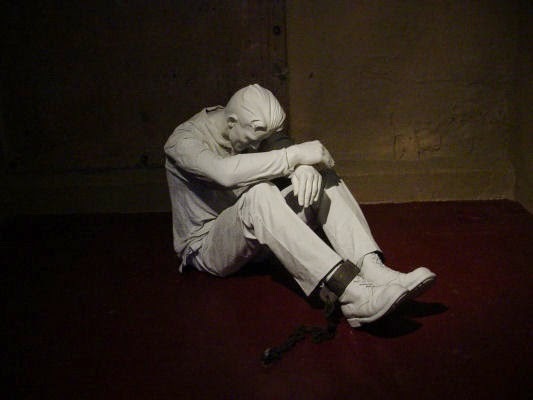 Numerous commentators at the Solitary Watch article are incredulous over the prospect of the U.S. State Department denying the “systematic use of solitary confinement” in American prisons. Eileen Siple wrote,"In many counties in the US, including Harford County, MD, juveniles charged as adults are automatically placed in solitary within adult jails and prisons “for their own protection”. This can go on for months or years – until they are bailed out, waived down (unlikely), turn 18, or their cases go to trial. Isn’t that systematic?" A poll that was taken showed that out of 10 of the worst prisons in the world, five of them existed within the confines of the United States of America.